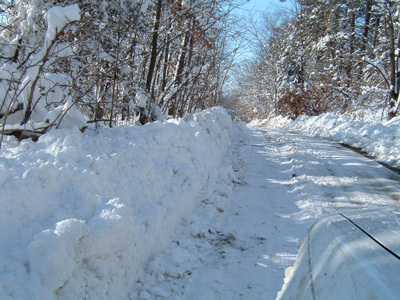 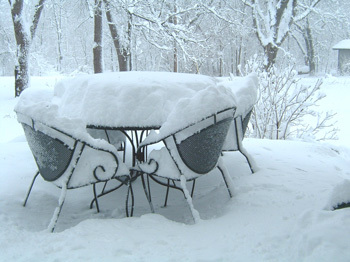 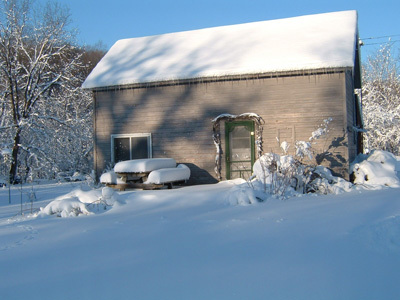 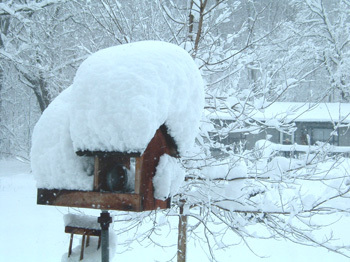 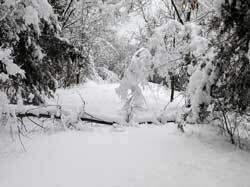 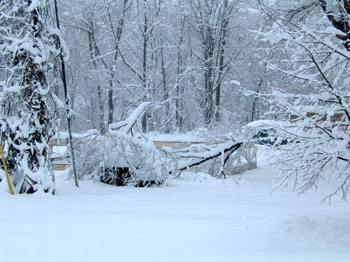 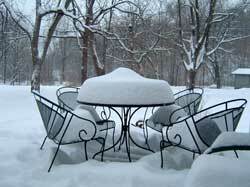 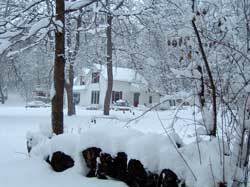 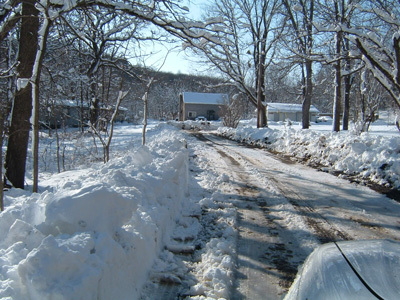 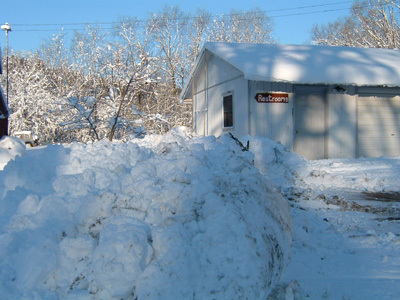 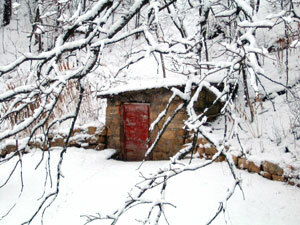 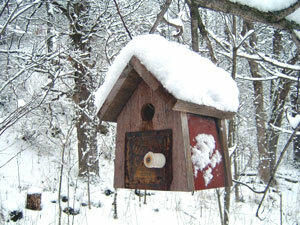 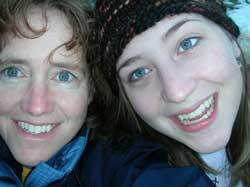 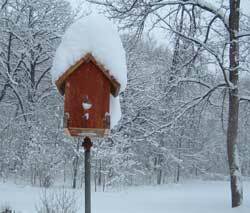 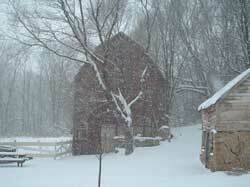 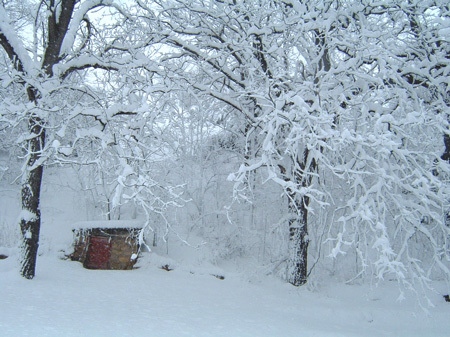 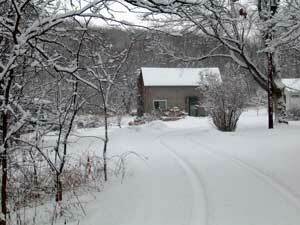 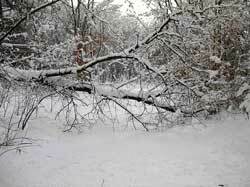 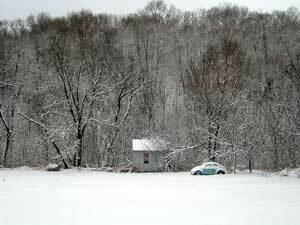 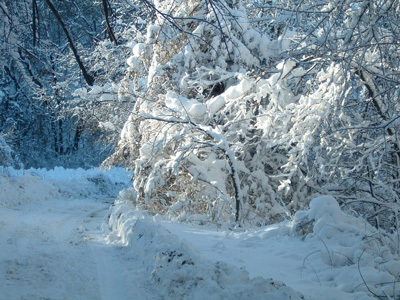 March 13, 2006 - Snow started at 5:30 a.m. and by noon we had 16 inches. 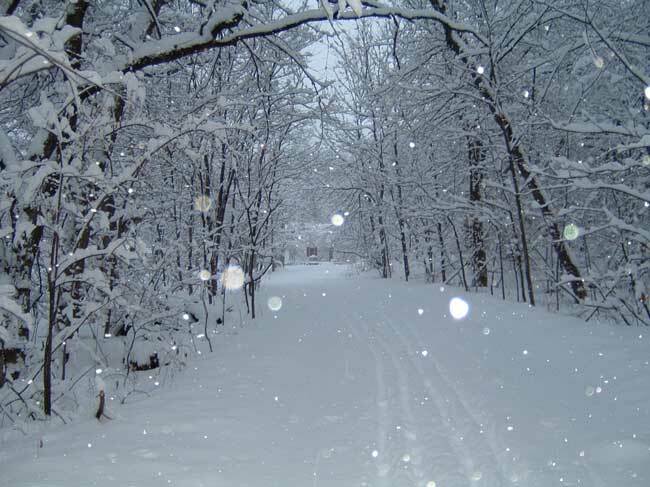 The winter snows began before Christmas this year. 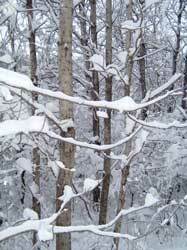 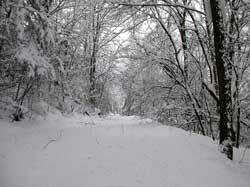 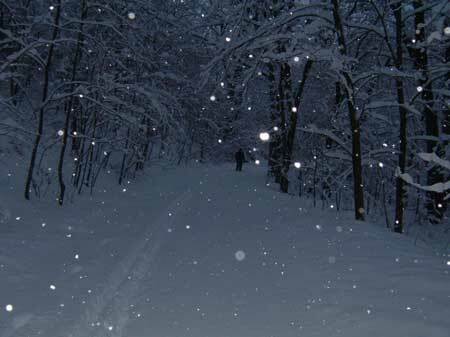 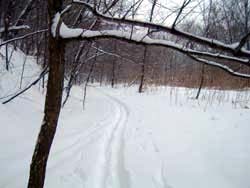 It is inexpressibly beautiful to glide through the snowy woods, making our own trails and seeing only the other trails of winged or four-legged creatures, busy on their own affairs. 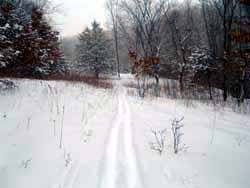 We skim along so softly, so quietly. 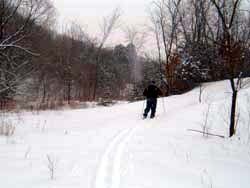 We skied to Trout Brook which is open all winter and usually has a few mallards living through the winter. 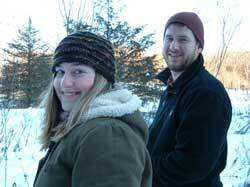 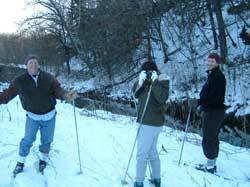 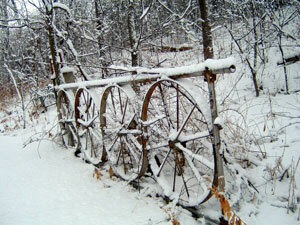 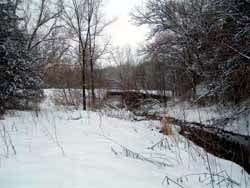 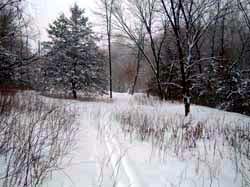 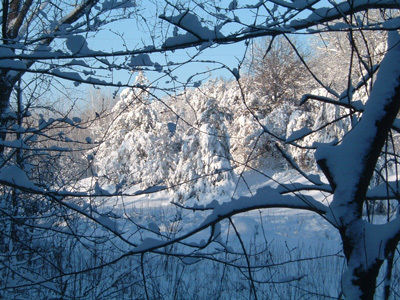 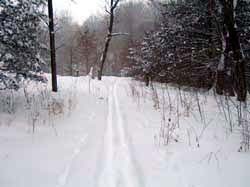 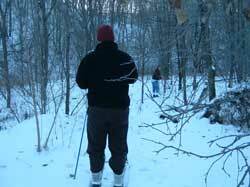 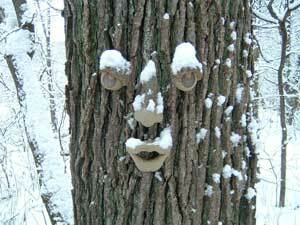 Check out our ski trails that meander through the ravine down to the trout brook.